If Harry Potter was fond of collecting, he would certainly prefer to trade the magic wand for the LignUp Multi Collector. Why? Because the multipurpose collector opens amazing facilities, which you can completely acquire just in just a half an hour. That's a real Magic — a perfect victory of order over chaos! With the LignUp Multi Collector lots of separate elements become a genuine treasure - an ordered harmonious collection. Each item keeps its own place in right category. 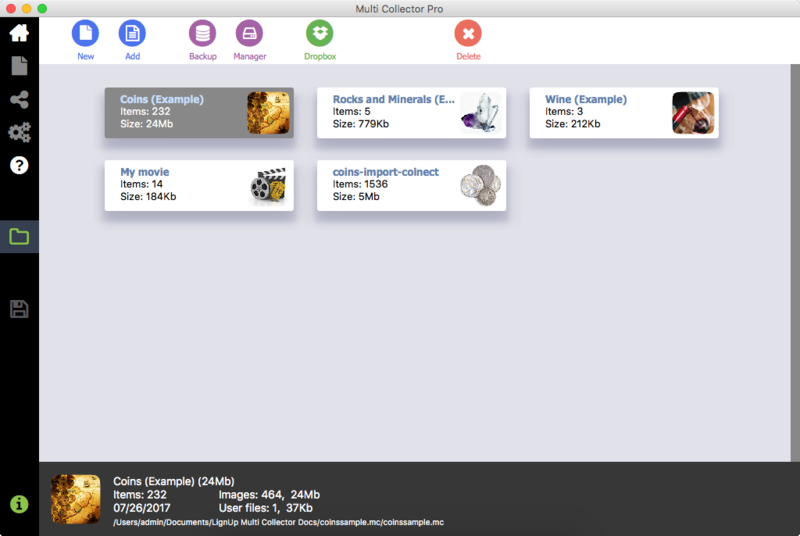 You can easily assort the collection as you like, add tags and keep all necessary information about items in database. 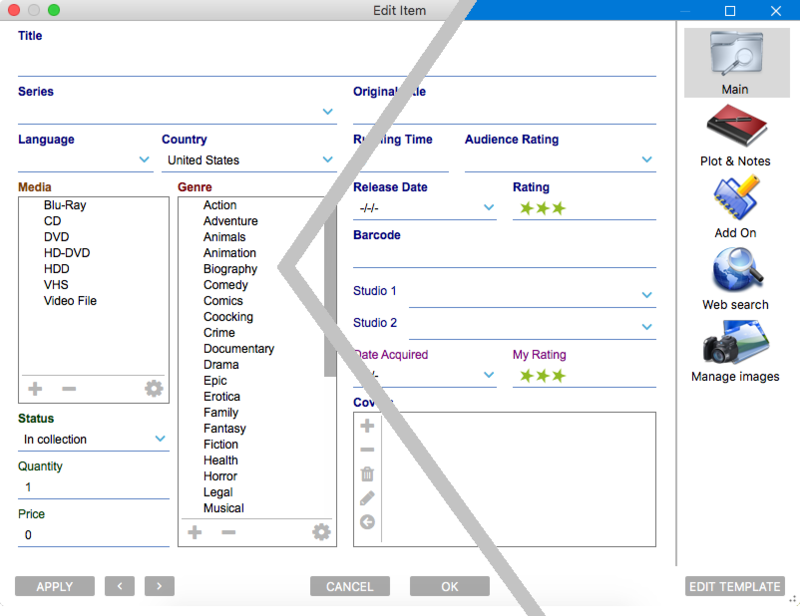 Choose between dozens of categories, or simply create a custom template to perfectly match your collectibles. The LignUp Multi Collector keeps all information in the way you prefer. Protect your database with your own password and configure automatic data backup. Application is available for both Mac and Windows - use it on any OS! Nothing to lose - start using free version right now! 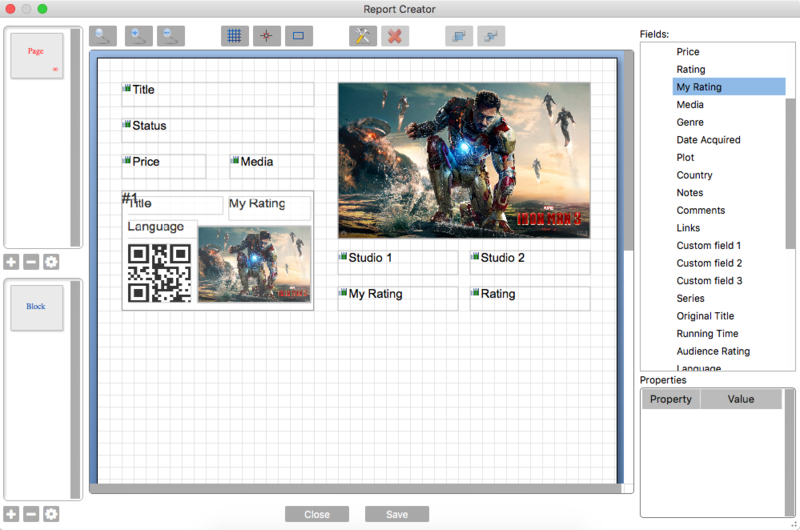 Create advanced reports using report editor. 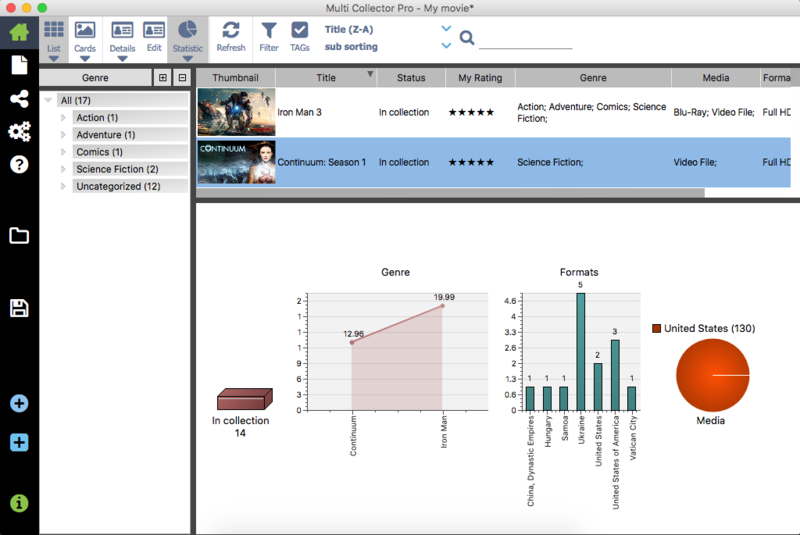 The LignUp Multi Collector provides report generation to many popular file formats (PDF, Numbers/Excel CSV, HTML), so you can proudly present your collection to anyone. 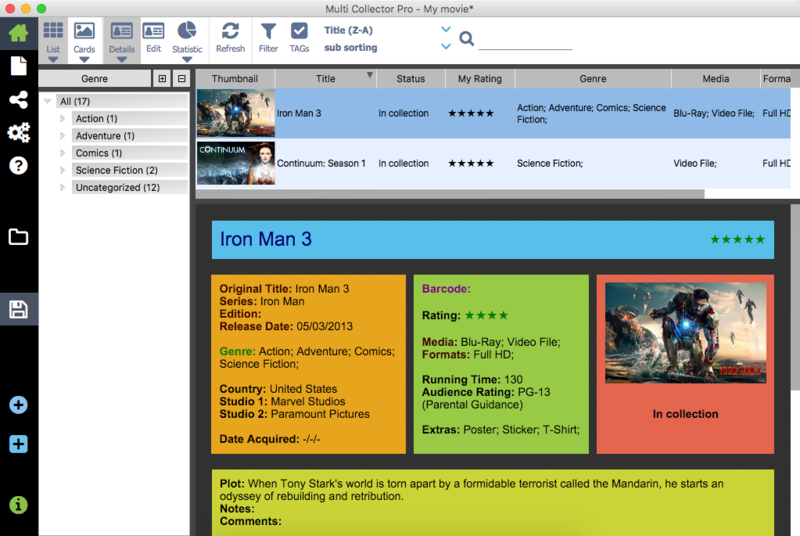 Search online information and capture images directly from application. Make photo of your items directly from your camera, and edit your images using image editor. Generate and use statistics reports. 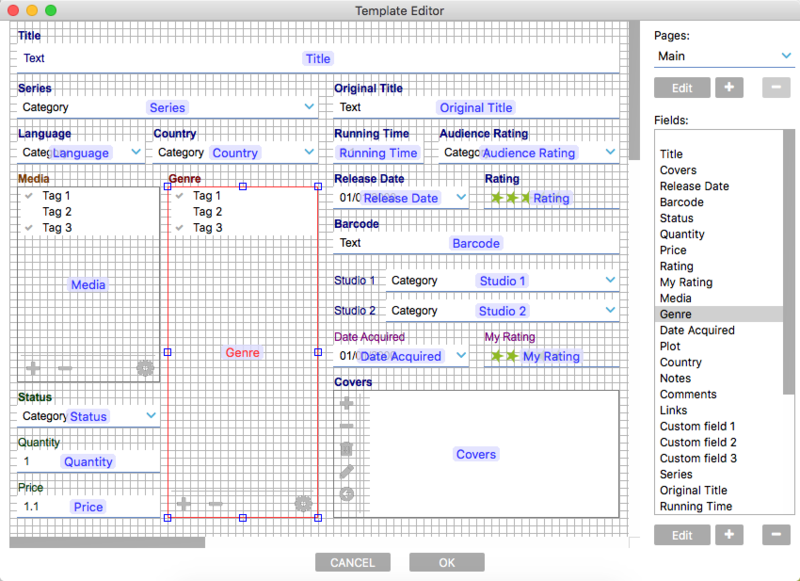 Use predefined templates or define your own Pie, Bar, Line charts. The LignUp software improves continually. As the new versions appear, you get more and more effective tools and your «magic wand's» power increases rapidly with each release. You can even offer your own ideas to developers and bring it closer to perfection with it. Now, when you're familiar with the unbelievable facilities of the LignUp Multi Collector, it's just the right time to turn to the practice. Download Free version - meet the interface and evaluate its ergonomic design! The LignUp Multi Collector — a perfect victory of order over chaos!